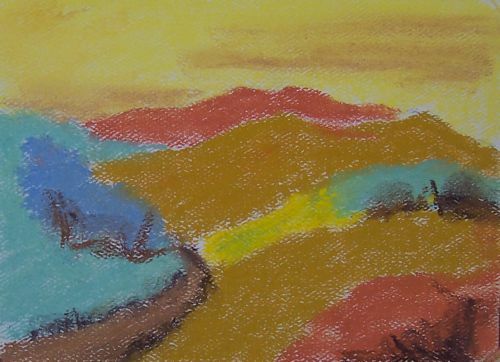 This entry was posted on Saturday, May 26th, 2012 at 12:48 pm	and is filed under 100 Pastel Challenge, Color, Landscape, Paintings, Pastels. You can follow any responses to this entry through the RSS 2.0 feed. You can leave a response, or trackback from your own site. rough texture here. I like that red! This color scheme allows for just the barest shapes of the landscape to come through. Very interesting.